Back in January, I started a photo project to get my pictures off of the computer and into real life. On Saturday, I finished it. The first two steps were addressed in the previous post. First up, print photos. I used Snapfish’s “Deco Prints,” and I recommend them. The paper is pleasantly thick and matte. 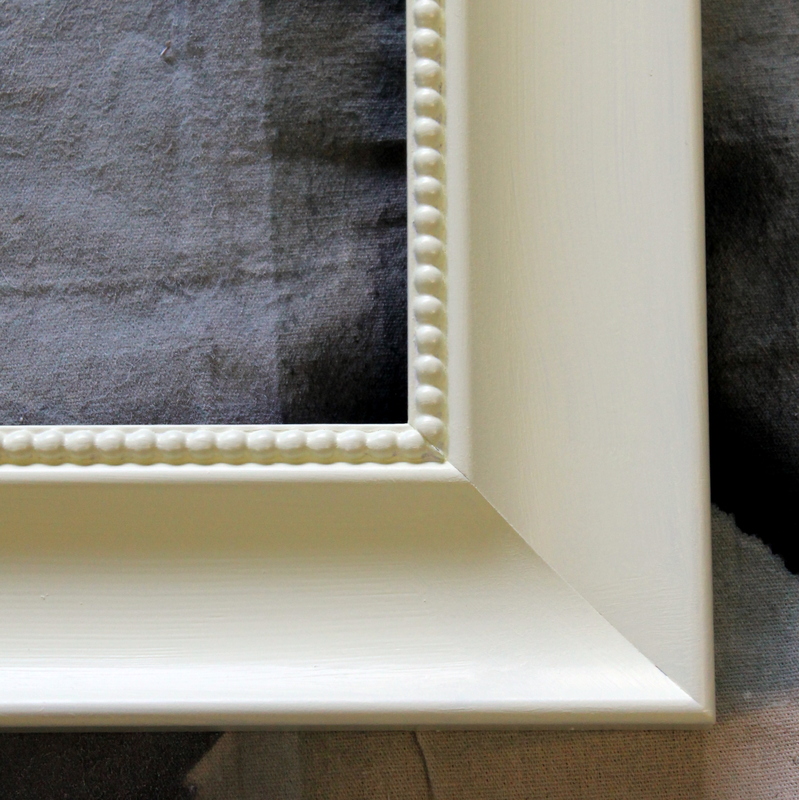 Second, buy big picture frame, preferably at Goodwill (for the street cred). 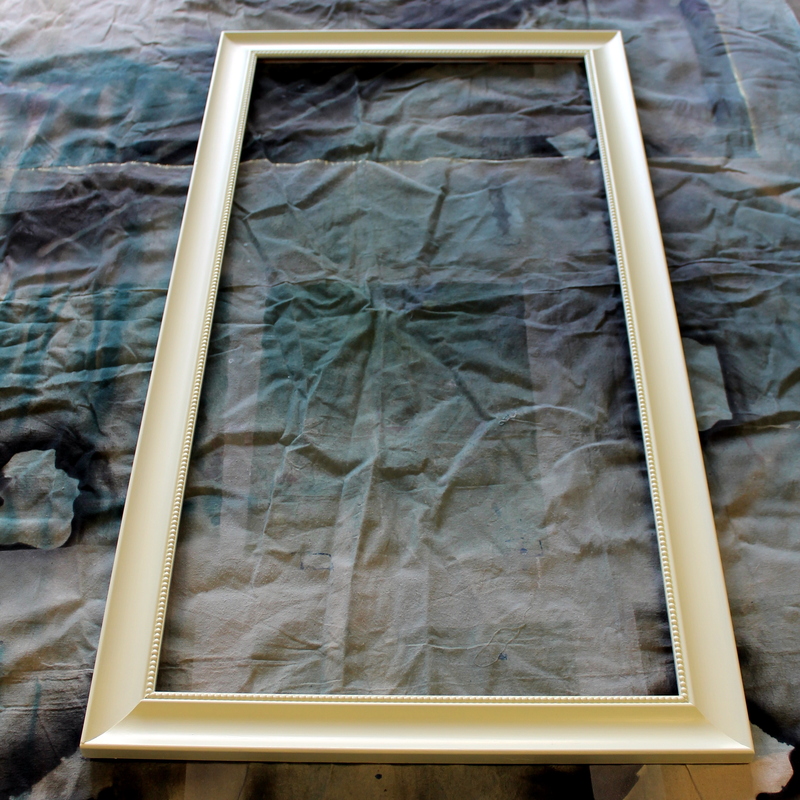 Jason primed and painted the frame using leftovers from Kate the Chicken’s room. I really liked the beading on the inner edge, but didn’t feel like it stood out enough. So I glazed just the inner edge, using leftovers from Tyler’s headboard. 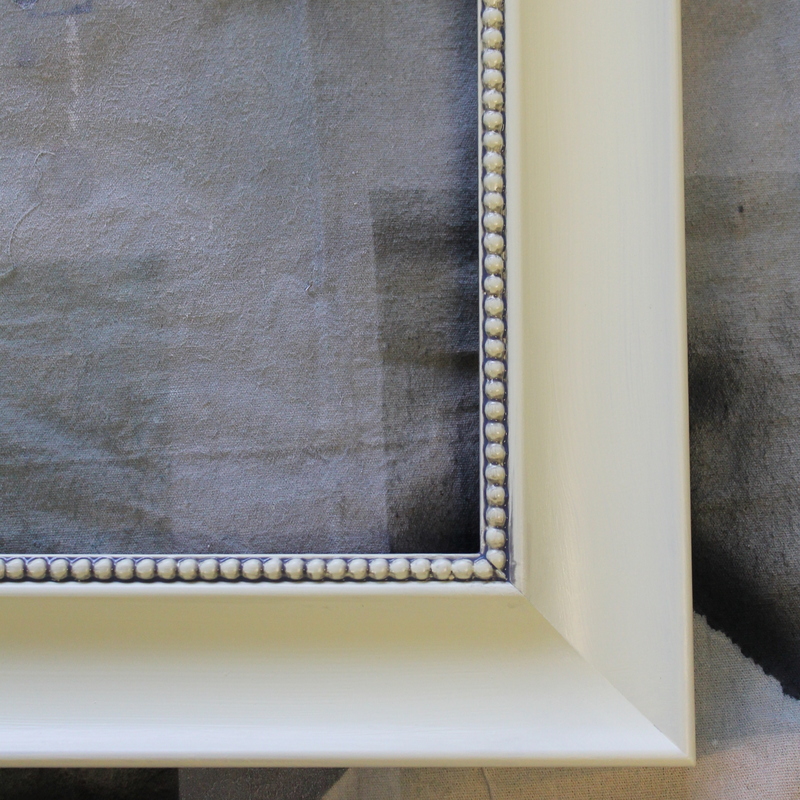 After that, we stapled chicken wire to the back of the frame. 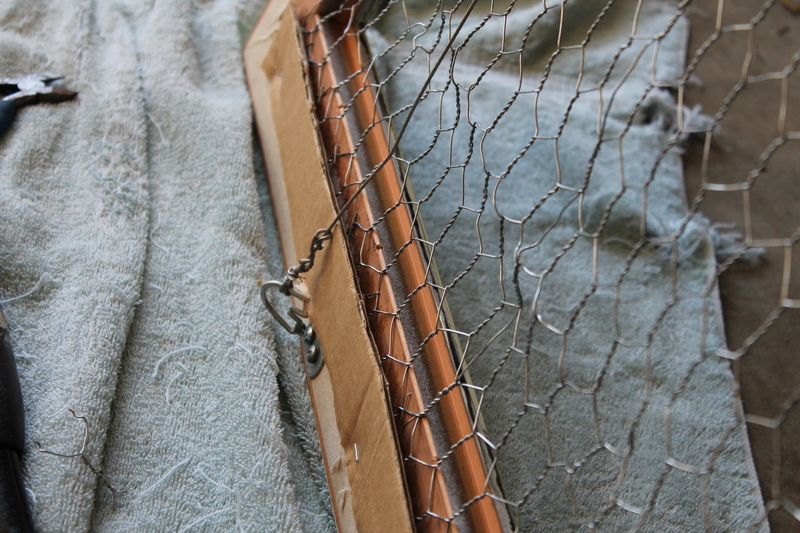 Pro-tip – staple thin strips of cardboard over the edges of the chicken wire to keep it from slicing and dicing your walls. Next there was a long and slightly-embarrassing interlude where we laid out 50 of the prints and arranged them. And re-arranged them. And re-arranged them. 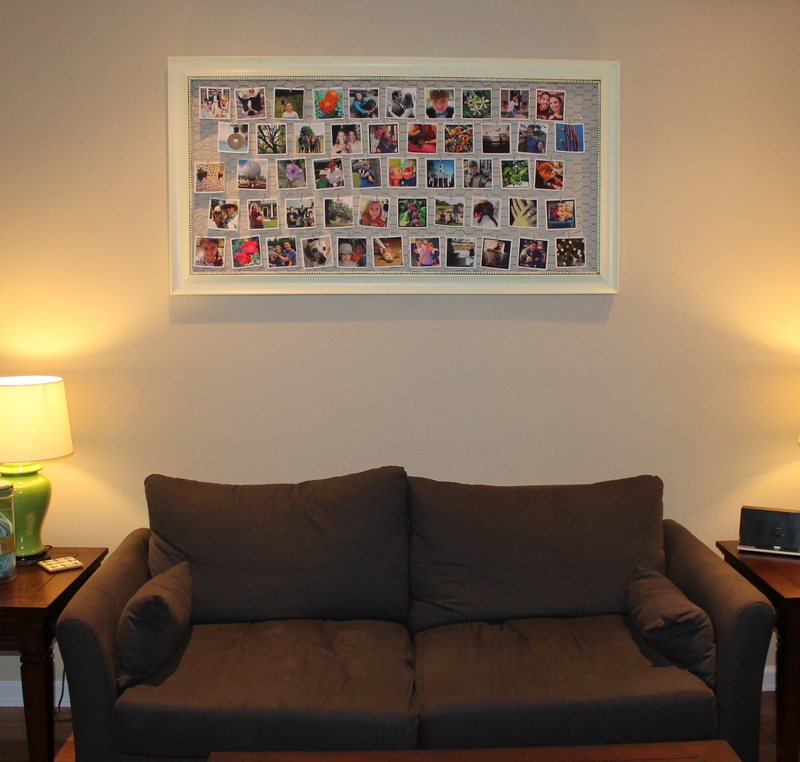 Finally, I hung the prints on the chicken wire using itty-bitty clothespins. It’s art! And it’s colorful! And I love it. $54 is a LOT for me to spend on a project, but I spread the cost over a couple of months. 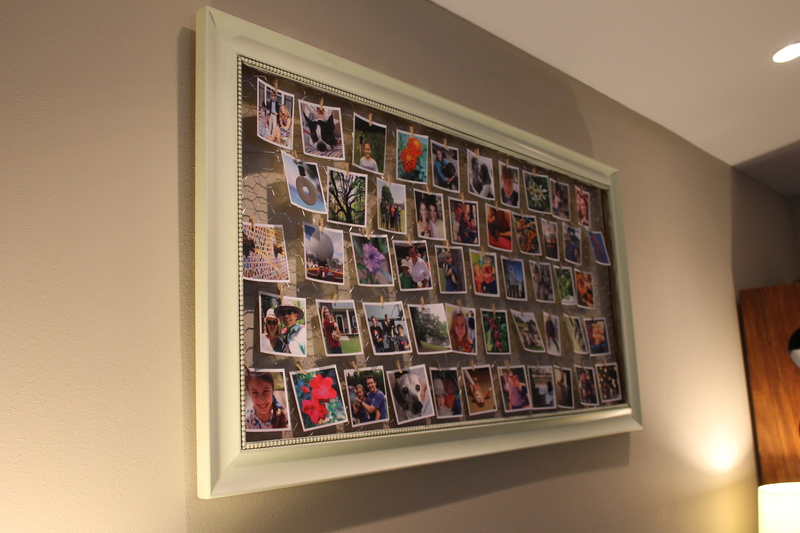 Plus, I can re-use the frame with different prints, or Christmas cards, or kids’ artwork, or whatever. I think I may like this version better than my original inspiration. Shhhh. Don’t tell. Love the chicken wire idea! I’m still loving mine as well. 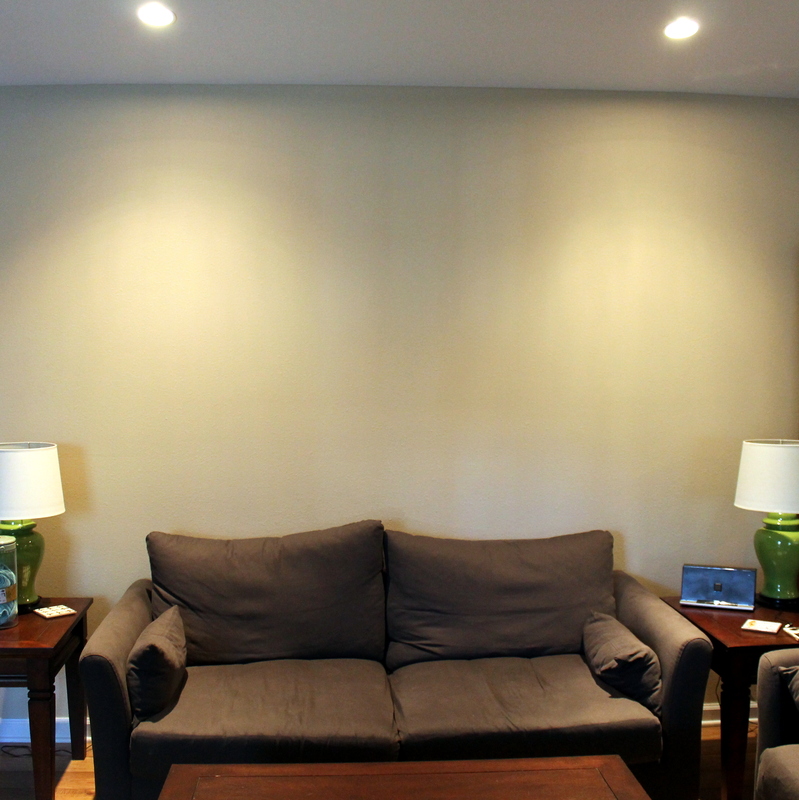 It’s worth it when you consider you can rearrange whatever is on there. Christmas cards is a great idea! 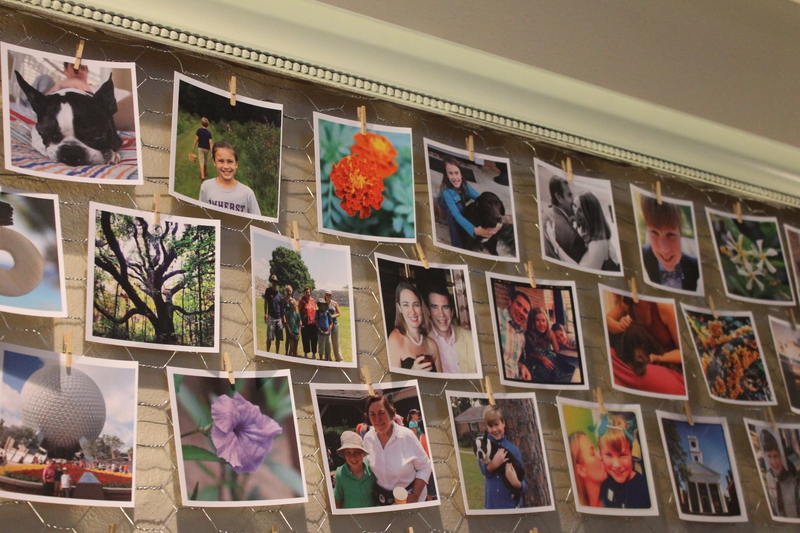 What a great project and such a great way to see your family pictures. Nice job! Thank you! I still get happy every time I walk by it.